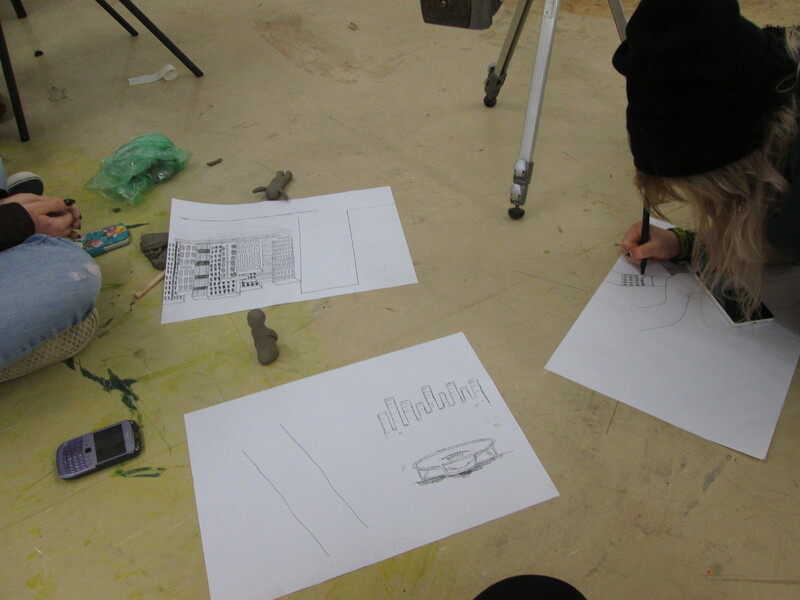 We met up today as a group to practice working with clay in animation with the intention of combining it with our findings from practicing animated collaborative drawing to create a final outcome. 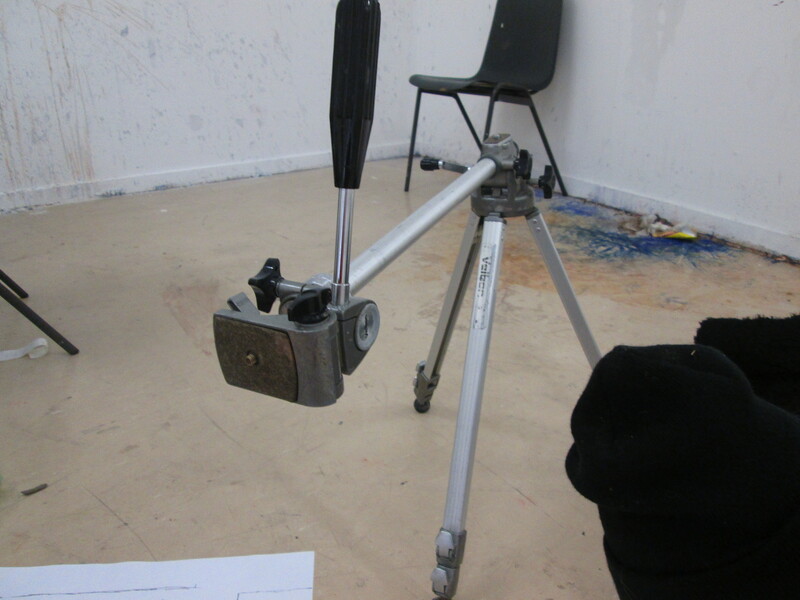 We learnt from the last animation we made together, that it was difficult to keep the camera steady when taking the photos and so hired out a tripod to work with. 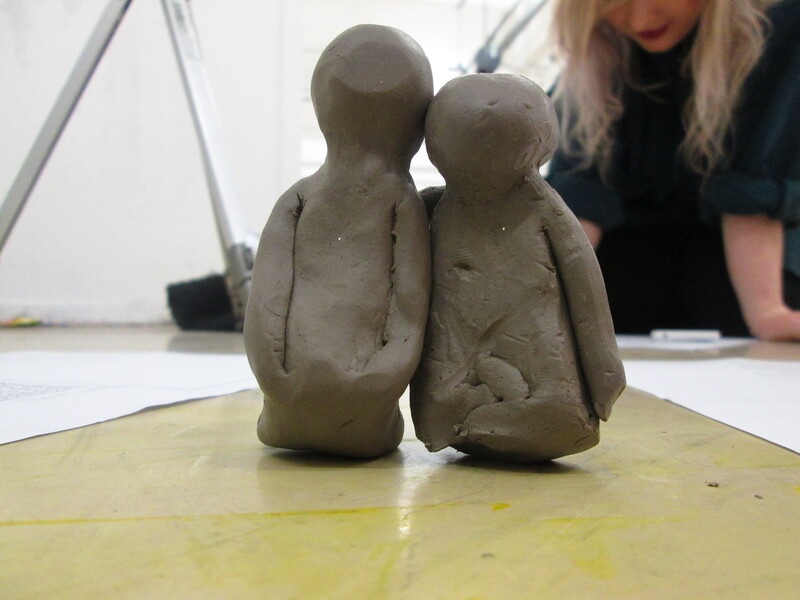 We made little clay figures to work with and tie in Chelsea’s ceramic background closer into the work we have been producing. Next we drew backgrounds and situations for the clay characters to be in and started working on creating the stop motion animation. It was a really enjoyable experience and we are very pleased with the outcome. Now that we have experimented with both clay work and drawing, We are confident that we can produce a stop motion animation combining the two that consolidates out findings and creates a successful final collaborative outcome. 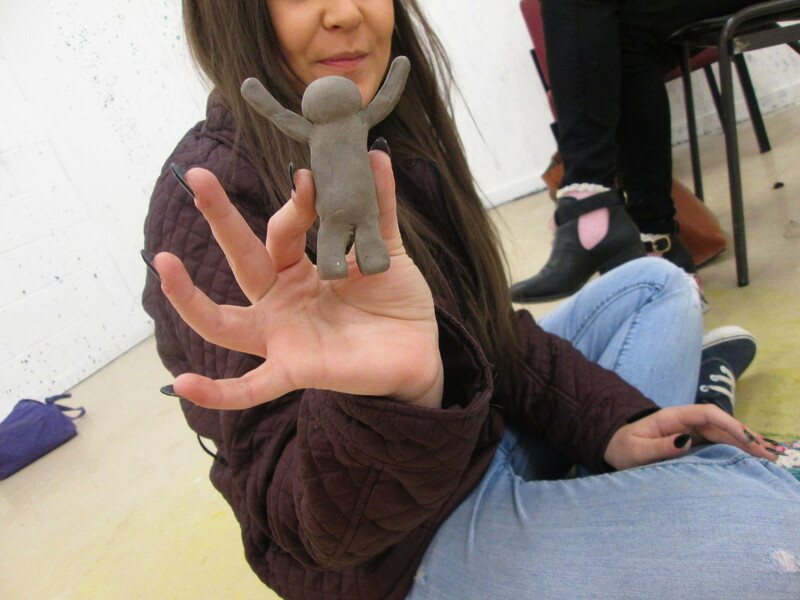 Hi gemma, your stop motion is really fun and i want to try it too. If you can help me, please suggest me what tripod should i get… i want something close to what you have. tri-pod wise, I genuinely just used a small simple tripot only a few feet above the paper surface to avoid getting in all the background of the piece etc.